Lindsay Lightner’s teaching career and experience in education has taken her all over the country, and even across the Atlantic Ocean to the United Kingdom. Her first teaching job right out of college was as a middle school science teacher in New York. From there, she taught writing at Penn State after receiving her master’s degree in the subject. Her efforts then led her overseas to educate future teachers at Canterbury Christ Church University before she returned to the U.S. and took a position as an academic advisor at Washington State University Tri-Cities. In all those years in education, what fascinated her most were the possibilities for exploring teaching styles and innovative strategies in education and helping students from all backgrounds succeed in the field she has dedicated her life to. Lightner is now pursuing a PhD through the mathematics and science education doctoral program at WSU Tri-Cities while she works full-time as the university’s alternate route to teacher certification coordinator. Washington currently ranks third in the nation for the concentration of STEM jobs by state, according to the U.S. Chamber of Commerce Foundation. With this distinction comes the responsibility for preparing students who will one day fill those roles. 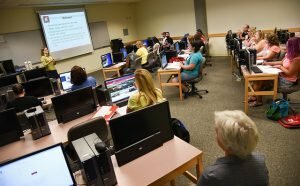 Through the College of Education at WSU Tri-Cities, students in the mathematics and science education doctoral program are researching ways to prepare both teachers and students to be successful in those fields. Both are crucial to growing the state’s local talent, and in turn, the state economy. 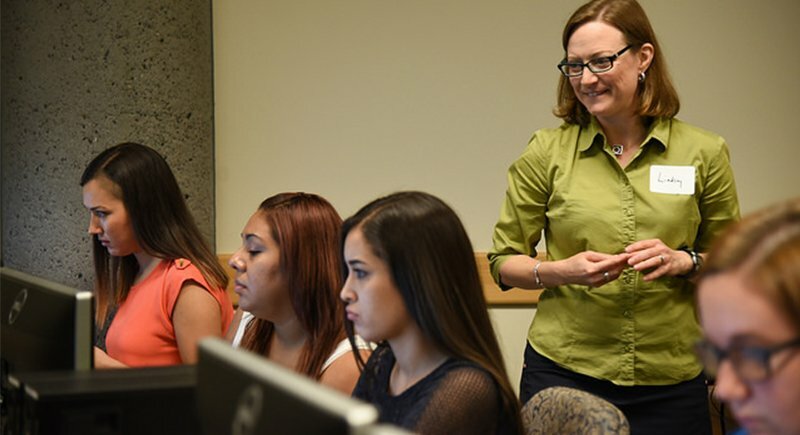 In her current role as the alternate route to teacher certification coordinator at WSU Tri-Cities, Lightner sees first-hand how the implementation of new and engaging strategies can improve the overall teaching experience, and in turn, students’ knowledge retention. Lightner works with paraeducators who are combining their established experience in the classroom with courses at WSU Tri-Cities to earn their bachelor’s degree in elementary education. At the end of the program, the new teachers will hold endorsements in English language learning, bilingual education or special education, in addition to the elementary education endorsement. Lightner said for new teachers, teaching science and math may be intimidating as they often don’t have specific expertise in those subjects. 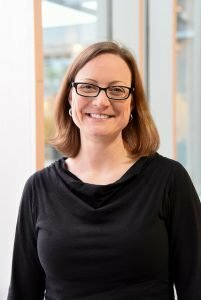 Lightner said through her doctoral research, she is exploring how people learn throughout their lives and how they integrate their past experiences with new learning opportunities to create new knowledge, practices or understandings for themselves. “I’m interested in seeing how college students and new teachers make sense and learn in different environments, whether those are university classes, work situations or a free choice activity,” she said. Through the education doctoral program, Lightner is currently conducting a survey that measures what the alternate route students think about teaching in general and also what they think about teaching science. 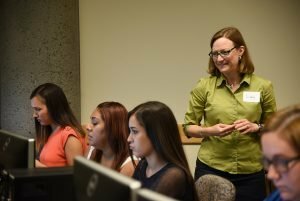 In her career in higher education, Lightner said the doctoral program in mathematics and science education at WSU Tri-Cities has been a perfect fit as both her coursework and her research area apply directly to her work with students who are learning to teach those subjects. 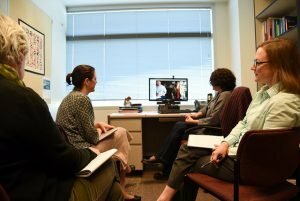 Lightner said she appreciates that her course schedules are a mix of online programming and in-classroom experiences, as it allows her flexibility in her full-time work schedule. She also works with nationally-renowned education professionals whose research and academic contributions have changed the world of education for the better. Lightner also shared from her experience as a teacher, both locally in the United States and internationally in the United Kingdom, as well as from her experience as an academic advisor, and compared these experiences with those of her fellow classmates. Interested in the math and science education doctoral program? 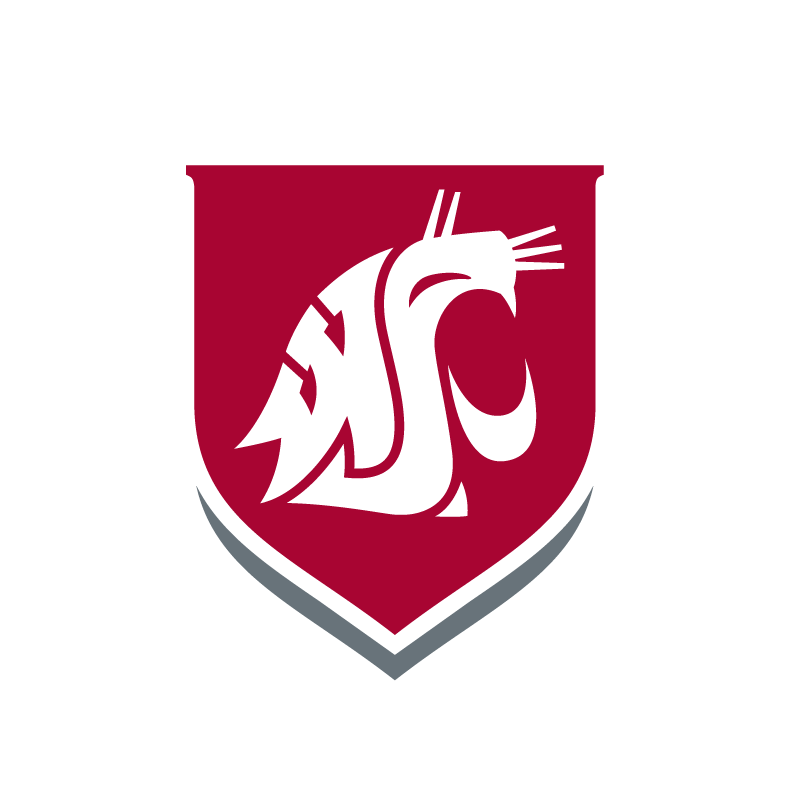 Visit https://tricities.wsu.edu/education/graduate/.